Do you want a different travel experience? Discover ancient mysterious rock carvings. 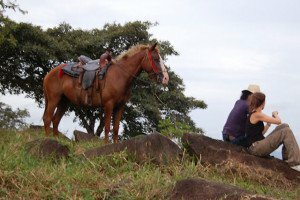 Get to know the tales from the local native population. Walk on indian trails to meet an indigenous family. 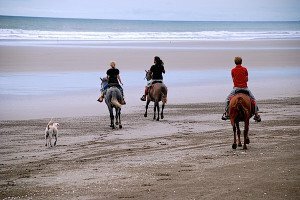 Ride a horse on the kilometers long palm lined beach of Las Lajas. 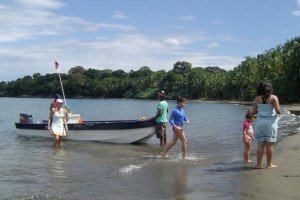 Explore the Mangroves with the Cayuco of Cocaleca Tours. 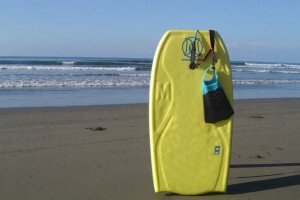 Surf and bodyboard classes from a local champion in the mellow waves of Playa Las Lajas. Relax your body and mind with a massage in our beach front rancho. Does this sound appealing and intriguing? Well, you will not find this in any official guide or tour book. 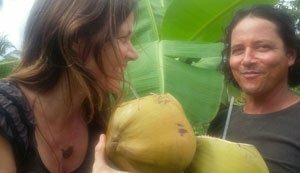 The only people who know about these travel adventures are the native and bilingual guides at Cocaleca Tours. They share their personal experiences with small groups. Contact us and you will have one of these unique experiences!!!! !